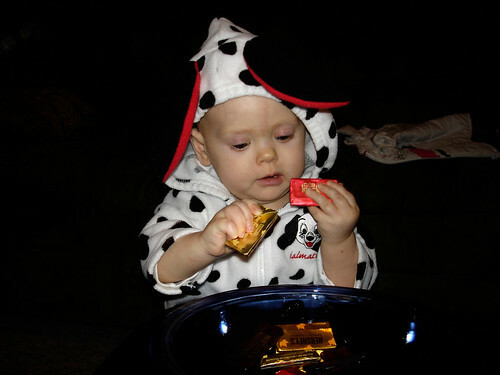 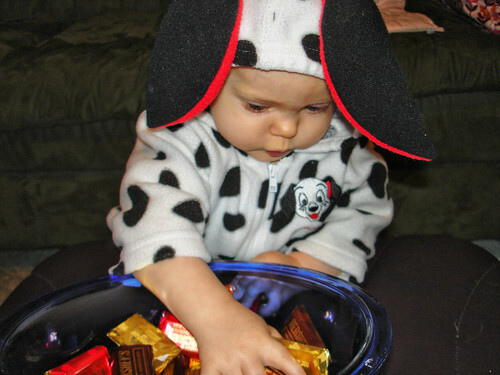 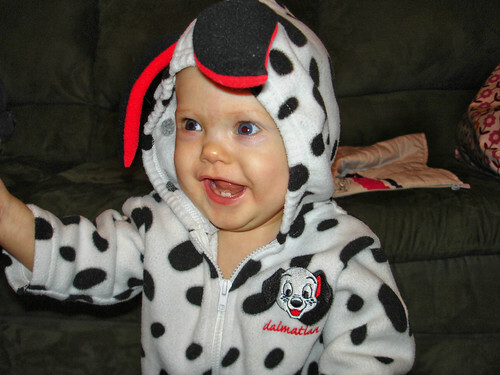 Lily looked so cute in her little Dalmatian outfit. 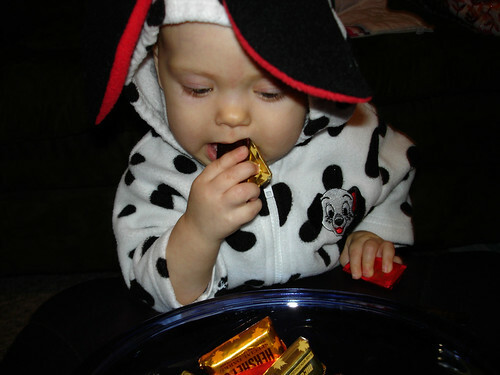 She wasn’t too sure of it at first but got more comfortable with it over time. 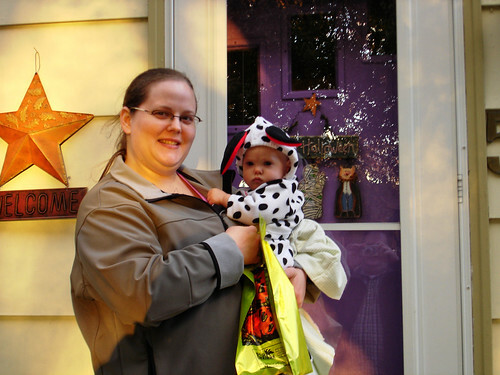 Since Lily is so little and we don’t need the candy we only took her to our next door neighbors house so we could get some pictures, then it was home so we could give away a little candy. 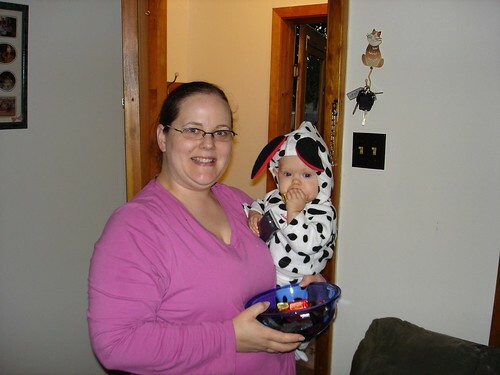 I took a bunch of pictures (of course) while we waited for the trick or treaters. 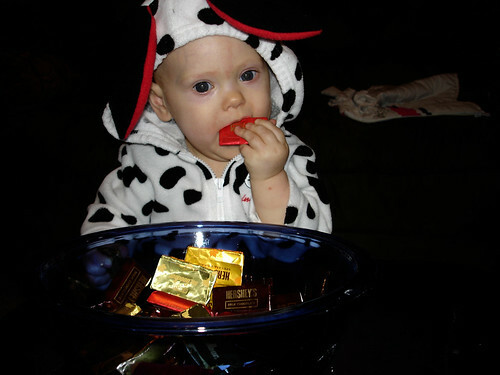 She really had fun playing with the candy but she didn’t get to eat any. 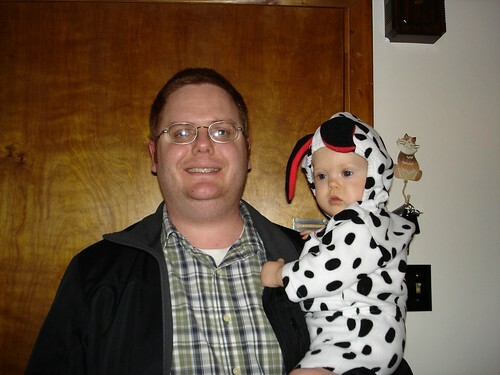 We only ended up with a couple of trick or treaters, this picture was taken right after the first ones left. 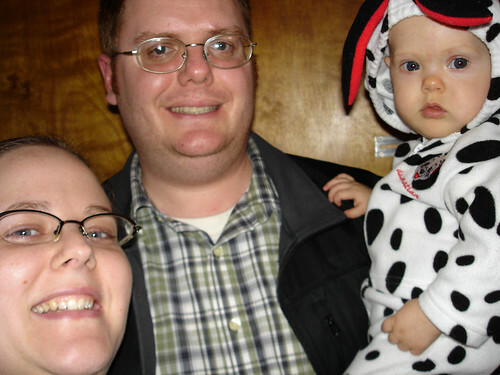 This entry was posted in Lily, marriage, Us and tagged Lil, Us, Waldo.